I’m awake. It’s the sixth day of sunshine here in Iceland. Yes, I do count the days because it is not that common that we have so many days of pure, yellow, warm sun. The only sound I hear is the sound of the little birds that made a nest under my roof outside my bedroom window. 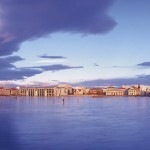 I live in the capital of Iceland, Reykjavik. Even though it is the capital I sometimes feel like time has stopped, everything is moving in slow motion and all I need are my two dogs. They are my life, my love and my passion. I take them out for a walk. Just five minutes walk from my house there is an open area covered with lava and moss. There are caves made out of lava and grass, the ground is soft because of all the moss. I sit down, watch my dogs run all around me and think of how lucky I am. I live in a country free of war. I live in a country with one of the highest life rates in the world. I live a good life and my dogs live a great life. I am free; I can wear what I want, do what I want and say what I want – and people listen. 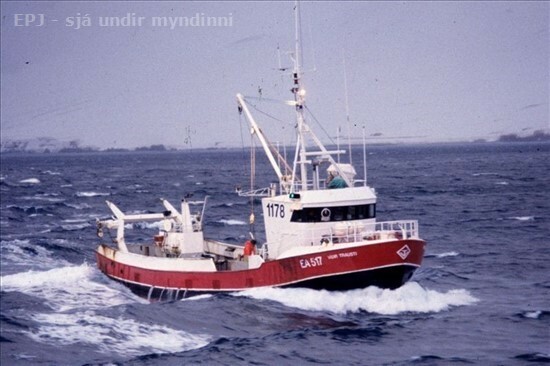 I am a proud daughter of an Icelandic fisherman. I am a Viking — I am an Icelander. Iceland, The Land Of Contrast. Some say that Icelanders suffer from inferiority complex. We are a nation of 318.452 inhabits (January 1st, 2011) but still we feel as big as America, China or even Italy. People say we have inferiority complex because we always need to be the best in that ever we do – smarter than other nations, funnier, better, richer and so on. Whatever we do it needs to be BIG and something to remember. Even when our banks collapsed, it was one of the biggest bank collapses in the world. When it comes to owning a computer 96% of Icelandic homes have at least one. We had the first female president and we also had the first lesbian Prime minister. Oh yeah, let’s not forget about the Volcano in Eyjafjallajökull. Not only did we have volcanic eruptions, but of course we just had to let the world know about it so we decided to have the ashes blown all over the Atlantic and stop all flights throughout Europe – just as a reminder. We may be small – but we are powerful! Just to keep things on the fun-side the eruption happened to be on Eyjafjallajökull which is hard for everyone outside of Iceland to pronounce. We had a big laugh every time a news caster tried to pronounce the name. Beside all that we also need to be a little bit more crazy then our neighbors in Europe. We, of course, need to have the biggest jeeps driving on the main roads. I was so lucky to be a co-driver on a 3 days trip across Iceland’s high-lands last weekend. There is nothing like sitting in a 38” Musso jeep driving on what seems to be endless space of glacier, with the sun sparkling on the pure, white snow. Iceland sure is the land of contrasts. We have Ice and Fire – Glaciers and Volcano’s. We also have Nissan Micra, Toyota Yaris and Ford 350 on 54” tires. When you see that kind of a car the only word that comes up in your mind is; MONSTER. Yes. It is a monster that drives on the streets in Reykjavik, the capital – but mainly it is used as a hobby vehicle, mountain jeep that can drive in any condition, any weather and through almost everything. We started our trip driving up to Hrauneyjar-Hotel which is situated upon the entrance into the Highlands of Iceland. It was the perfect stay-at before our big trip up on Sprengisandur. On the parking-lot were 84 giant Jeeps during the night. Eigthy Four. That is really a sight to see. At the crack of dawn the first jeeps started heading their way up to Sprengisandur (green route) – heading to the other side of Iceland; Akureyri and then we would spend two nights there – and drive back to the Capital on Sunday morning, taking the “pink” route back home. After about one hour of driving in deep snow, focusing on staying on track and pulling each other out of deep holes we caught up with the monsters of the trip. The 54“ jeeps. A 7ton Hummer had an overheated transmission and needed to be pulled back to Hrauneyjar. But how do you pull a 7ton Hummer though the snow? Well… You put a 6 wheel 46“ Ford in the front – rope to the next jeep which needs to be a 44“ Toyota and then a rope onto a 46“ Ford 350 – finally you put the rope on the Hummer and off you go – sure that you have enough horse power to pull 7 tons! We had all sorts of adventures on the highlands. Broken jeep that needed to be fixed on the spot (thank god my partner knows cars! ), derimming of a 38“ tire, a big rock that almost wrecked the stanchion on a Nissan Navara and so on and so on. But that is what makes it all worth it – all the trouble that make good stories. All the trouble that teaches you not to go further down in air pressure in the tires then two pounds, not to drive to fast or you might hit a rock sticking out in the middle of the snow. When the „boys“ got to busy playing with their cars – i jumped on my ski‘s and enjoyed the silence of the Highlands. Not even a bird singing as far as my ears could hear. Untill I heard the roaring sound of the jeeps getting closer and closer. Thank god my partner picked me up. It would have been a long ski trip back home . I love living in Iceland. I love all the adventures you can enjoy – all the beautiful scenary and all the opportunites our country has to offer. Where will you travel in 2011? My years growing up in a little village down by the sea in the north-Atlantic island of Iceland were even better then you can ever imagine. Living with the perfect family. Happy, healthy parents, two older sisters and two older brothers. Life was only about running around town from sunrise to sunset. The summers were particually fun when the sun never goes down and tomorrow is far away. I remember feeling sometimes that time had stopped and I would never grow old. But now I wish I could go back to my youth, for just one day – just one hour. My father is and was a sailor. He left in the middle of the night and came home late in the evenings. He brought food to our table and money into our bank account :) During the summer time I used to stay awake and look into the horizon. Then I would see his ship as a little dot in the distance, getting bigger by the minute. I ran down to the pier, waited for him with other sailors-kids on the rocks. We would climb the rocks on the pier when we got bored at looking at the grown-ups work. In my memories nobody worried about us, even though we sometimes came home with wet clothes from swimming in the freezing-cold North Atlantic Ocean. In the winters we always had snow. A lot of snow! . And yes, I am the little pink-dressed girl some where climbing on the snow. I was only eight years old when my dream came true. My brother came home with a 8 weeks old puppy. 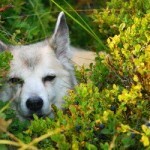 Icelandic Sheep Dog. Young, beautiful and a perfect playmate! The dog became my best friend, and one might even say,… my sister. For eight years she would sneak into my bedroom late at night and sleep by my bedside . For eight years we were inseparable. Then I moved and went to college. Years went by and she stayed with my parents. She became a big part of our life, even more like part of the furniture. She did everything with us, went mountain climbing with my mom and berry-picking with my dad. She was always there when I came to visit my folks, always the same, always Píla, my dog. For 17 years she followed my family through thick and thin. A true family member. On January 16th I received a phone call from my mom. She had a hard time speaking because she cried so much. My little sister, my dog, had been in a terrible accident. I booked a flight the next minute and two hours later I was home with my parents. But there was no Píla. The house was silent. My father and I dug a grave in the garden. Picked the perfect spot where she could both see in the fjord, to the south – and out the fjord, to north. Memories may fade, but she will always be in my heart. She is the reason I decided to study dogs. She is the reason why I want to make further researches on raising a dog and a child together. She had even bigger influence in my life then I could ever imagine. Because of her … Dogs are my life! Ég ólst upp í litlu sjávarþorpi niður við sjóinn. Sjórinn var Norður-Atlantshafið og eyjan mín heitir Ísland. Æskuárin mín voru betri en þú getur ímyndað þér. Hamingjusamir, heilbrigðir foreldrar, tvær eldri systur og tveir eldri bræður. Lífið snérist um það eitt að leika sér frá sólarupprás til sólseturs. Sumrin voru sérstaklega skemmtileg, þar sem sólin sest aldrei og morgundagurinn er í órafjarlægð. Ég man að stundum leið mér eins og tíminn stæði í stað og ég yrði aldrei fullorðin. Núna óska ég þess heitt að ég gæti farið aftur til æskunnar – bara í einn dag – eina klukkustund. Pabbi minn var og er sjómaður. Hann fór um miðja nótt og kom heim seint að kvöldi dags. Hann færði björg í bú og pening inn á bankareikninginn J Á sumrin vakti ég eftir honum og horfði út sjóndeildarhringinn. Svo sá ég skipið hans birtast sem litla doppu í órafjarlægð, en stækkaði með hverri mínútunni sem leið. Ég hljóp niður að bryggju, beið eftir honum á klöppunum með hinum sjómanna-börnunum. Þegar við urðum þreytt á því að horfa á fullorðna fólkið vinna klöngruðumst við um klettana. Ég man ekki eftir því að nokkur hafi kippt sér upp við þennan leik okkar, jafnvel ekki þó við kæmum heim rennandi blaut eftir sundsprett í ísköldu Atlantshafinu. Á veturnar snjóaði, Mikið! Og já, ég er þessi litla bleik klædda að skríða um í snjónum. Ég var aðeins átta ára gömul þegar draumar mínir rættust. Bróðir minn kom heim með 8 vikna gamlan hvolp. Íslenskan fjárhund. Ung, falleg og fullkominn leikfélagi! Hundurinn varð besti vinur minn, og sumir myndu jafnvel ganga svo langt að segja; hún varð systir mín. Í átta ár læddist hún eftir ganginum og inn í herbergið mitt þar sem hún svaf við rúmstokkinn. Í átta ár vorum við óaðskiljanlegar. Síðan flutti ég burt og hóf nám í menntaskóla og síðar háskóla. Árin flugu og hún bjó hjá foreldrum mínum. Hún varð að stórum hluta í okkar lífi, eins og gamallt húsgagn. Hún gerði allt með okkur, fór í fjallgöngur með mömmu og berjatínslur með pabba. Hún var alltaf til staðar þegar ég heimsótti foreldra mína, alltaf eins, alltaf Píla, hundurinn minn. Í 17 ár fylgdi hún fjölskyldu minni í gegnum súrt og sætt. Sannur fjölskyldumeðlimur. Sextánda Janúar á þessu ári fékk ég símtal frá mömmu. Hún átti erfitt með að tala því hún grét svo mikið. Litla systir mín, hundurinn minn, hafði lent í hræðilegu slysi. Ég bókaði flug heim og tveimur tímum seinna var ég komin heim til foreldra minna. En þar var engin Píla. Ekkert gelt. Ekkert. Pabbi og ég grófum gröf í garðinum. Völdum fullkominn stað þar sem hún gat bæði horft inn fjörðin og út – suður og norður. Minningar dofna en hún mun alltaf vera í hjarta mínu. Hún er ástæðan fyrir því að ég ákvað að læra hundaþjálfun. Hún er ástæðan fyrir því að ég vil rannsaka betur uppeldi barna og hunda. Hún hafði meiri áhrif á líf mitt en ég hefði nokkurntímann getað ímyndað mér. Vegna hennar …. eru hundar líf mitt!